An article from London-based Marta on her passion for vintage shopping in Barcelona. Barcelona is one of those cities that once you travel there; you will never want to leave. For fashion lovers, the City of Gaudí is the perfect destination to get the latest European vintage clothing while walking through beautiful boulevards whose architecture and Mediterranean atmosphere you will instantly fall in love with. If you are thinking about travelling to Barna, as the Spaniards call it, make sure you bring a big case with you, as a variety of vintage shops will be waiting for you. 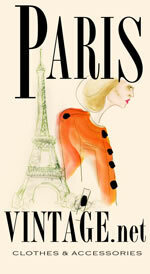 Located in the Eixample, Paris Vintage is a boutique created for lovers of the French capital and its fashion. Here you can find unique pieces of clothing from the 40s to the 90s from designers such as Lavin, Dior or Chanel. 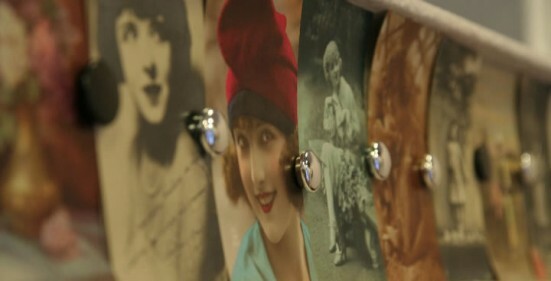 Once inside, don’t hesitate to test all kinds of accessories and shoes to put the finishing touches to your vintage look. Thanks to the huge collection of brooches and pearl necklaces, your mind will soon travel to a French film scene from the 50s. Two girls, Marina and Cyntia opened La Lentejuela in 2010 in the heart of La Ribera as a new source of income. Here you’ll find an exquisite selection of vintage textile pieces as well as a variety of eclectic accessories from the 50s to the 90s. The majority of clothes are imported from Germany, but don’t hesitate to pop in in order to discover the work of new local designers. The handbags selection won’t let you down! La Lentejuela is also one of the only vintage shops in Barcelona that has a little collection for men looking for retro style. Not far from this lovely boutique you’ll find the Parc de la Ciutadella, a perfect place to rest after your shopping session. It sounds just like the place where is based: El Raval. This part of Barcelona is a paradise for true vintage lovers. If you are especially interested in getting clothes from the 60s, this little vintage shop Ravalintage will rapidly catch your attention because of its beautiful dresses and colourful accessories displayed in the window. 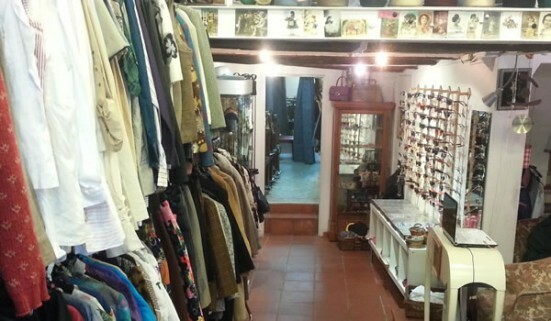 After a visit to Ravalintage, you can easily carry on with your vintage shopping as El Raval has loads of little places to find unique treasures. After a busy day of shopping, don´t hesitate to enjoy a cold glass of sangria in any of the nice bars around the area. To taste the best juices in the city, visit La Boquería market, between Las Ramblas and El Raval. It’s without doubt one of the most exquisite vintage shops in Barcelona. In other words, it’s a real mecca for art lovers. Heritage was opened more than 20 years ago by two men, Edgardo and Luis as they were in love with antiques. 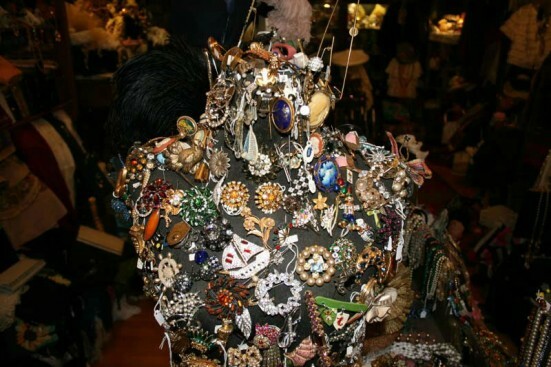 This vintage bazaar will have whatever you are looking for: from hats, purses and gloves to shoes, jewellery and all kind of textile pieces from the 18th century right up to the 70s. Let yourself go with history and magic, through the amazing collection of vintage pieces from famous designers such as Dior, Pucci and Loewe. After an exhausting day of shopping, you will most likely need a nice place to rest. You’re in luck! Always close to great bars and cafés, hotels in Barcelona are available with a wide range of prices and styles. If you finally decide to explore Barna´s nightlife, remember that the Spanish party is endless. A good tip: Don´t come back with the morning light, as a new day of shopping will be waiting for you! Marta Lopez is a travel and lifestyle writer based in London. She loves fashion and travelling. When she isn’t writing on her laptop, she can be found around London parks enjoying French literature and searching for beautiful vintage shoes. What are your favourite vintage shops in Barcelona? Let us know in the comments. Hi Alícia, sorry for the late reply. This was a guest post by someone who new vintage shops in Barcelona. You will have to contact any shops directly I’m afraid. Good luck. Enjoy your visit!